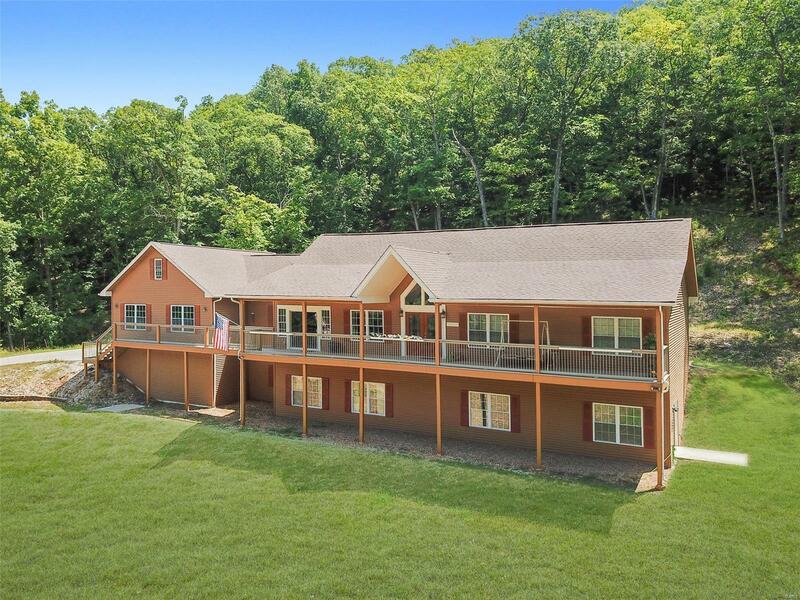 Beautiful custom built ranch home on 4 acres. Budget billing for this all-electric home is $220/month.This home offers 4 car garage+ over 3400 sq.ft.of top notch finish including finished lower level. Front deck stretches 61 ft.across the front. Enter to diamond point ceiling in foyer w/bamboo flooring flanked on the left by dining room and the right by office w/French doors. Vaulted great room is ahead w/stunning window views of nature. Custom made cherrywood kitchen cabinets;granite tile tops;moveable kitchen island;2 sinks+ 2 pantries. Stainless steel wall oven, microwave and glass cooktop. Lots of "green" features including Geothermal HVAC system utilizing well water as ground source. This highly efficient system provides evenly heated rooms. Two 50 gallon water heaters utilizing hot water from the furnace. Master bath has 40X60 inch ceramic tile shower; 2 vanities+door to outside patio. Finished walk-out Lower level w/28X18 recreation room w/ 9 ft. ceilings. Call now!